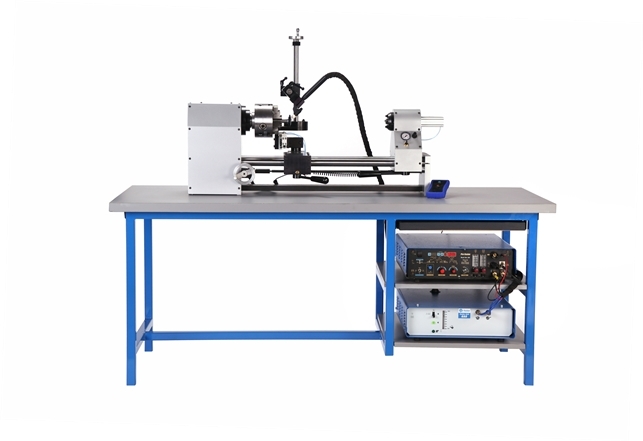 Pro-Fusion arc welding stations combine power supplies, welding lathes/positioners and weld controllers to provide a precision automatic arc welding system. System requires a minimum of operator skill for economical welding of small and medium size components and assemblies. These affordable systems provide accurate weld current and precision rotation to improve weld quality and increase output while reducing scrap and rework.